I used an old favourite technique to create today’s fairy: tea-stain a piece of paper and singe the edges using a flame. I used to do this for every history related piece of homework because I wanted to add to the effect. 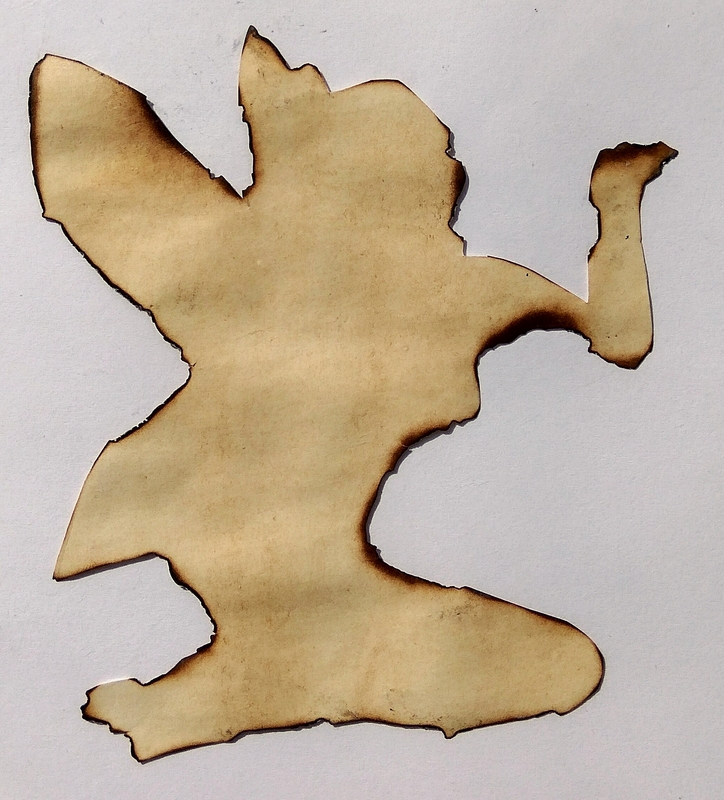 I started by drawing the fairy, tea-stained the paper, cut her out and then singed the edges with a flame. This was a lot more difficult that I remembered, but I’m sure I didn’t have such specific shapes to singe back then.